Chetpet Eco park is one of the recent tourist spots in Chennai city that is situated on the Chetpet Lake shore. 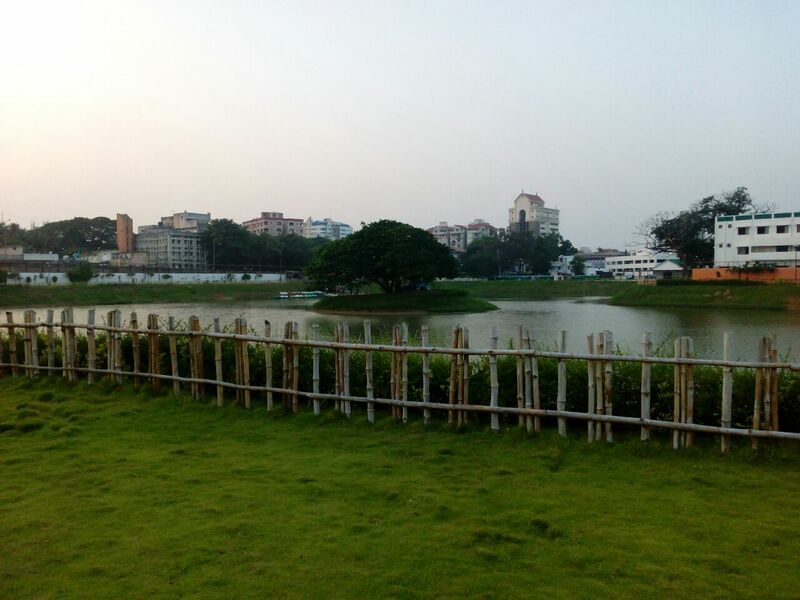 Chetpet lake was opened on February 27, 2016. The main attraction of this eco park is boating and angling in the Chetpet Lake. This place was initially a dump of garbage and the other dirty stuff. It was completely an unhealthy place dumped with sewage. Later in 2013 this place was considered for restoration by chief minister J. Jayalalitha. With a big budget, this 15-acre land was newly reformed by the Fisheries Department and opened for public use in February 2016. Chetpet Lake attracts the visitor with the boating facility and Chetpet Eco park is the best place for walking and jogging for all those fitness enthusiasts. There is a play area situated in the Chetpet Eco Park. 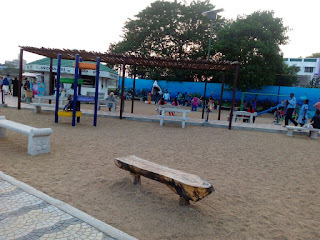 So, there is no wonder that Chetpet Eco Park situated on the Chetpet Lake shore is the best picnic spot in Chennai even for kids. Chetpet Eco park is located in Chetpet just opposite to the Ega theater. It welcomes you with beautiful fishes and lush green pathway. It has beautiful paintings on all the sides and a walker’s path of 1.5kms. The entry ticket charge is Rs25 for the adults and Rs10 for the kids. You can have a pleasant walking and fresh breeze. The walker pass is given on monthly and yearly basis. They charge Rs200 for a month Rs1000 for 6 months pass and Rs2000 for 1-year walkers pass. The application fees will cost Rs50. They also have a dressing room where you can change your dress if you choose to start walking or jogging. Chetpet Eco park timing - 9 AM to 6 PM. Walking track timing - 4:30 AM to 8:30 AM in the morning and 5 PM to 7 PM in the evening. Working days - Sunday, Monday, Wednesday, Thursday, Friday, and Saturday. To take the fish we catch - Rs.300. Another big attraction of this Eco park is the Boating. Chetpet Lake has a minimum of 10 boats to ride on. Around half of the boats are pedaling boats and the half of the boats are rowing types. Chennai had its famous boating are in Muttukadu, ECR, where we have to travel a long distance if we are located in the center of the city. It was a must to travel a long distance if we love boating. 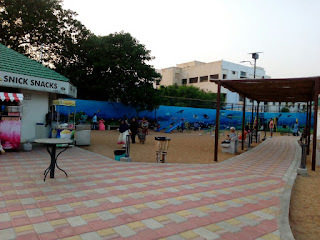 Chennai Muttukadu is one of the best picnic spot in Chennai that is mainly popular for the boating facility. Now the Chetpet Ecopark provide the boating facility where you can relax with your family. Kids will have a very good time here. In Chetpet Lake boating charge is Rs50 for adults and Rs25 for the children for boating. They do not permit children under 3 years for boating. The boating is extremely safe as they provide safety jacket, well- conditioned boats with skilled persons to handle them. As the boating facility is recently inaugurated, the boats are in very good condition. You can choose to pedal the boat yourself or as the people there to help you. You can take a long round on the boat for about twenty minutes to half an hour. This will surely give you a very nice experience. Kids also enjoy a lot to have a ride in the water. As the Chetpet Lake is recently revamped for this Chetpet Eco park idea, do not delay to visit it to experience boating in a clean water. Chetpet Eco Park also has quite a decent children play area with a lot of activities that gives exercise to the children. Children’s have a good time playing on the swings, climbers, sea-saw, sliding boards and so on. There are three for sets of swings and two sets of sliding boards and sea saw to avoid crowd stagnating in one place. When you can enjoy chatting with your friends in the wooden sit-outs, your kids can have their own fun time in the kids play area. They also have a cafeteria with basic snacks, water, tea, and coffee. The rates are also nominal. The restrooms are located behind the play area. There are separate restrooms for ladies and gents which are very cleanly maintained. Another major attraction of Chetpet Ecopark is the Fishing. The live experience of fishing by yourself is very thrilling. There are people who are skilled in fishing who will help you out. They charge Rs300 for the fishing which is a must try. They also have an amphitheater with shows running on particular timing. With a roof top restaurant. They also provide space to conduct birthday parties on a specific charge applied. The parking space is also very good, you can park two-wheelers and four wheelers and they do charge for it. They do not allow cameras inside and outside food is also prohibited. The park is open all the days from 9:00am to 6:00pm except on Tuesdays. Walkers timing is from morning 4:30am to 8:30pm, evening 5:00pm to 7:00pm. Chetpet Ecopark situated on Chetpet Lake has become the best place to hangout in Chennai that has boating, angling, sit-outs, children's play area, recreation centre and beautiful sculptures. This calm place surrounded with a busy city will be the best boating spot in the coming years if it is maintained in the same way as it is today. Chetpet Eco park is a blessing for the Chennai people especially for the ones who love boating. Do not think twice to visit this place to have a calm and fun-filled experience.